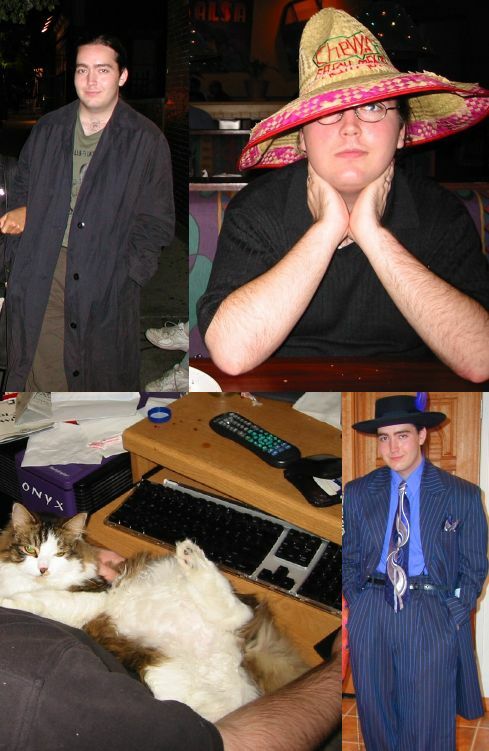 Jack R. Frost IV, often known online as M3DJack or LoCash or corner, has been friend to countless members of online communities like AppleNova and out there in the "real world" in his home towns of Boston, MA and Atlanta, GA (and a few others along the way). He has been a cornerstone of this community, putting his heart and soul into building it from the ground up. Jack died on Saturday, May 28th, 2005 at the age of 24. Our most heartfelt condolences go out to the Frost family and we wish them the best during this most difficult time. Jack leaves behind a legacy that will certainly live on for years to come. Jack had a spark of creative genius that shone through all of his projects and will long be remembered. He was outgoing, charming, and an incredible athlete. He had a sharp wit and cynical humor that would leave us laughing to tears. He had a zest and enthusiasm for life that some of us could only dream of. Jack frequently mentioned wanting to give back to the community and the world at large; he envisioned his talents being used for a greater good. The AppleNova community has organized a collection of over seven hundred US dollars and is placing a donation to The Susan G. Komen Breast Cancer Foundation, an organization that he spoke highly of, in Jack's name. We the AppleNova staff would sincerely like to thank all of you who have contributed. We love you, Jack. You're truly missed.